In Nintendo’s press conference at E3 2018 today, we got a detailed introduction to their new game, Super Smash Bros. 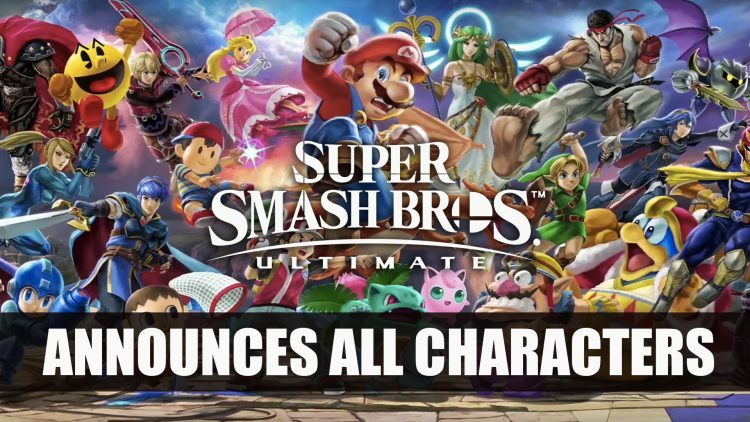 Ultimate which sets out to bring the largest amount of characters to the franchise. Nintendo has their E3 2018 conference focusing on some of the upcoming games such as the new Pokemon Nintendo Switch game Let’s Go Pikachu! and Let Go Eevee!, but also used a big chunk of their press event to show off one of their long running titles Super Smash Bros. This newest edition Super Smash Bros. Ultimate brings not only a wide variety of characters but every single one from the previous Super Smash Bros. titles as they put it “Everyone is Here!” That’s over 60 different playable characters to choose from. Although fans have pointed out not everyone is here as Waluigi was missing from the lineup, maybe next time Waluigi. Super Smash Bros. Ultimate is set to come to the Nintendo Switch exclusively on December 7th, 2018. If you enjoyed reading this article be sure to check out Nintendo Reveals Let’s Go, Pikachu! And Let’s Go Eevee! For Nintendo Switch and for more E3 news be sure to read Resident Evil Remake Release Date Announced.